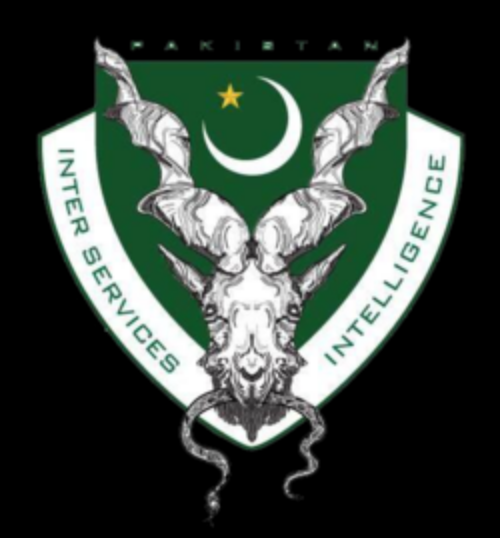 I had read some about our struggles with the Inter-Service Intelligence, the Pakistani version of the C.I.A., during the Afghanistan War. I had no idea the extent of that struggle. They were considered our staunches allies in the region, bought and paid for many times over, but as history confirms, allies who do not benefit from a common cause rarely stay allies. In this book, Steve Coll broke down all the aspects of this war from the good, to the bad, and finally the downright ugly. When the U.S. invaded Afghanistan, tens of thousand of Pakistanis flooded across the border to fight the American coalition. Someone must have forgotten to tell these Pakistani volunteers that America was not the enemy. We were in Afghanistan to bring down an organization called Al-Qaeda and their allies, the Taliban. The difference between the two was hard to distinguish. The priority was Al-Qaeda, which was an organization formed by the planner of the 9/11 attack Osama Bin Laden. The Taliban, who were responsible for most of the civilian deaths in Afghanistan from 1996-2012, were a hardline, militant, religious organization, who believed in a harsh adherence to Islamic Sharia law. They committed brutal, violent outrages against the Afghan population, with women bearing the preponderance of their religious imposed restrictions. Early on in the war, during the George W. Bush administration, we relied heavily on the I.S.I. for intel, guidance, and help, but as the war dragged on with Bin Laden still at large and few definable goals achieved, skepticism with Pakistan and Afghan President Hamid Karzai were beginning to erode trust. By the time Barack Obama inherited not only the war in Afghanistan but an ill-conceived, and in my opinion, illegal war with Iraq, he was disillusioned with both Pakistan’s loyalty and with Karzai’s ability to make decisions and implement them. ”Most Afghans may not want the Taliban to return, but there is an old adage: if the guerillas do not lose, they ultimately win….” The one hard and fast truth was eventually the Americans would go home. Political pressure would become so heavy that some president would find a way to declare mission accomplished and bring the troops home, probably before a midterm election. How would you win a war against an insurgency that simply melted back into the civilian population or into the hills, or crossed over into Pakistan and thumbed their noses at the stupid Americans? What Karzai knew and what the I.S.I were equal aware of was that, once the Americans left, they were going to be left dealing with the Taliban. It was logical that progress was not moving at the rate it should because the I.S.I. had an eye to the future. They had several goals that did not necessarily contradict themselves when seen through a lens focused on a rapidly approaching change of objects: make the Americans as happy as you can; take as much money from them as you can possibly extort; tip off the Taliban to key intel that will hopeful insure survival for Pakistan when the next regime change occurs. ”The potency of Al Qaeda’s ideas and tactics further challenged a Pakistani state that was weak, divided, complacent, and complicit about Islamist ideology and violence.” A weak government, and yet they possess nuclear weapons. I’m not even going to get into the animosity between Pakistan and India, which fueled the allure in possessing or at least controlling Afghanistan. What was very scary for me to learn was that, if the attempted Nissan Pathfinder bombing in New York City in 2010 had been successful, there was a very good chance that the US would have declared war on Pakistan. The perpetrator, or should I say the near perpetrator, was Faisal Shahzad, a Pakistani born US citizen with ties linking him to I.S.I. Thank goodness the bomber proved to be inept. The Bomb that didn’t go off. Was Pakistan our allies or future enemies? Were we nearly at war with I.S.I. or with all of Pakistan? On May 2nd, 2011, Team Seal 6 conducted a raid in Pakistan to kill Osama Bin Laden. He had been living under the noses of the I.S.I. for years. Was this incompetence? Complicity? Trust had completely evaporated between the I.S.I. and the C.I.A./American military at this point in time, and Pakistan was not informed of the raid. They first learned of it when the Seals had to blow up a grounded disabled helicopter. Needless to say, the embarrassment that such a large military operation was allowed to invade Pakistan without resistance was felt with deep humiliation. Scars like this ran deep and wide. If the US had informed Pakistan of the raid, would Bin Laden have still been there? All the kudos in the world to Obama for making the call to conduct the raid, even though positive identification of Bin Laden’s presence had not been confirmed. He did what Bush failed to do. He found the mastermind of 9/11 and had him terminated. Coll did go into detail on the secret prisons, in my opinion illegal prisons, to get around US law (shaky legalities here) which would allow them to torture suspects. Unfortunately, we are split in this country regarding the benefits and morality of torture. I still have discussions with people who are convinced that torture is not only viable, but should be used indiscriminately if there is even the possibility of garnering useful intel. There is a cost, too high, not only to those we torture, but also to those we ask to do the torturing. The other day I was watching a film, Rupture starring one of my favorite actresses Noomi Rapace, and when she was strapped down to a table, made helpless, I had to turn the TV off. Legions of mistakes were made in Afghanistan by all parties involved. By the end of this book, I finally felt like I was closer to unraveling the enigma of Afghanistan. 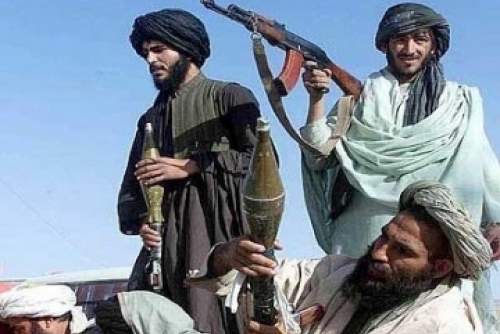 The Afghanistanization, which couldn’t be called that because of the connotations with the failed Vietnamization, was hard to get off the ground as Afghan soldiers, trained to replace Americans, started turning their weapons on their “allies” and escaping to join the Taliban. I know this is a tough subject for many of you. It is a tough subject for me, as well, but I felt like I needed to know more so that I would have additional facts at my fingertips whenever I find myself in a heated discussion about the misguided wars in Afghanistan and Iraq. Coll’s first book, in what will be a trilogy, called Ghost Wars, was also excellent and a great precursor to this book. From the Afghanistan journal of Lieutenant Tim Hopper. That about summed up the whole war.